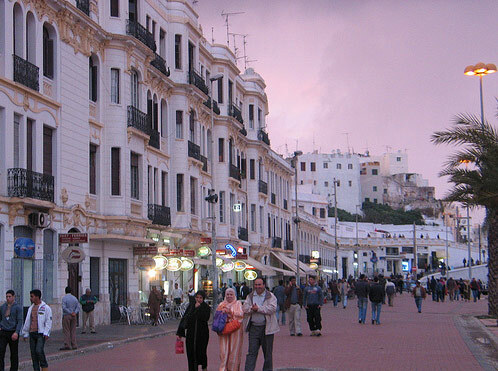 For centuries, Tangiers, located on the northernmost tip of Morocco, has been revered for centuries by painters, artists and musicians from around the globe. Since Delacroix and Matisse, painters have come to Tangiers to experience its distinctive mix of color and light. Writers and musicians came for its fascinating people, culture and cafes, most notably the Cafe Hafa which sits high above the city, overlooking the Mediterranean and Spain. 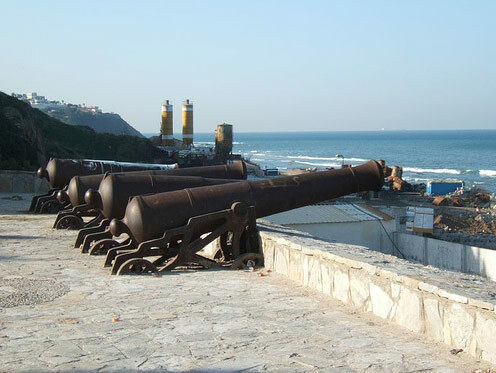 The twentieth century was a fascinating time for Tangiers, as it served as an international city during the colonial era, a bohemian capital for some of the century’s greatest artists, a cold-war spy haven. More recently, the city is becoming a cosmopolitan world hub linking the Middle East, Africa and Europe. The centuries old Kasbah is a fortress which surrounds the old city. This is a typical feature of historic Moroccan urban design. 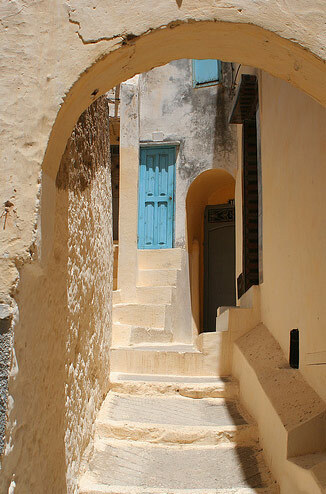 The particularity of Tangiers’ old city is its winding streets, undulating up and down the hills upon which they were built. 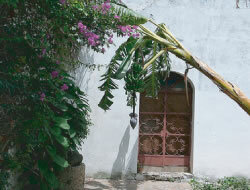 Inside the Kasbah is a mixture of architectural styles, including Islamic, art deco and colonial. Within its walls are the Dar al-Makhzen (now a museum) and Sidi Husni Palace. 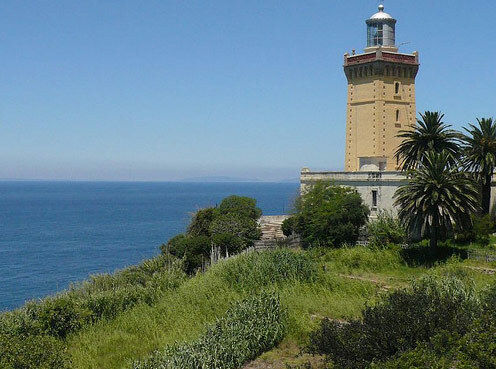 The Kasbah ends at the sea, elevated at the edge of a high cliff, which allows for some spectacular views of the rest of the coast and the meeting of the calm Mediterranean and powerful Atlantic. 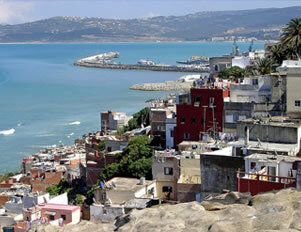 In Greek mythology, Hercules was said to have separated Africa and Europe himself at Tangier. It was in this cave that he rested after his exploits. The cave is illuminated by a small opening overlooking the Atlantic. No one knows if the opening overlooking the Atlantic is man made or not, but that is part of the cave‘s mystery and wonder. Hercules’ cave is a cave on the coast which has a small opening overlooking the sea. 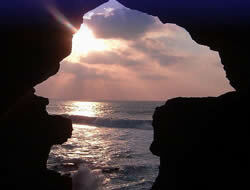 The best time to visit is at sunset when the cave slowly changes color as the sun sets over the Atlantic. Traditional Moroccan gardens are renowned for there abundant flora and intricately detailed fountains. Walking through the Sultan’s garden is an intoxicating experience, with the sweet fragrances of flowers, orange and lemon trees filling the air; while the ears are tickled by the sounds of fountains. The white washed walls help accentuate the gardens and fountains, along with their various colors and shapes. Socco is Spanish for the Arabic word for market, souk. 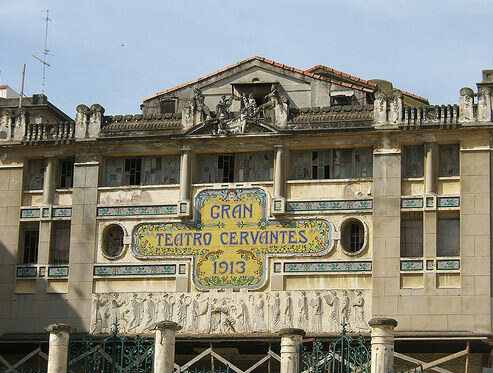 This square is the heart of the city and is bustling during the day with taxis, pedestrians and street vendors. 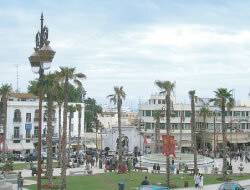 The grand plaza is a popular meeting place in Tangiers. The Grand Socco is surrounded by a number of cafes and restaurants where you can sit and contemplate the traffic and activity. 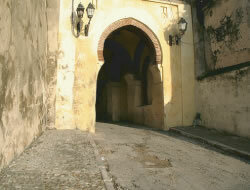 The Grand Socco is the entrance to the old city. The infamous Cafe Hafa is set on a terasse atop a hill overlooking the Mediterranean and Spain. They also happen to serve the best mint tea in town. With only 15 km separating Spain and Morocco, getting across to Tarifa in Spain is a quick ferry ride across the Straight of Gibraltar.